Muhammad Rashid Rida is among the most influential Muslim thinkers of the modern period and yet, until now, his writings on Christian-Muslim relations have remained unpublished in English. In this flagship English edition, Simon A. Wood rights this wrong by translating and analysing one of his most important works, The Criticisms of the Christians and the Proofs of Islam. 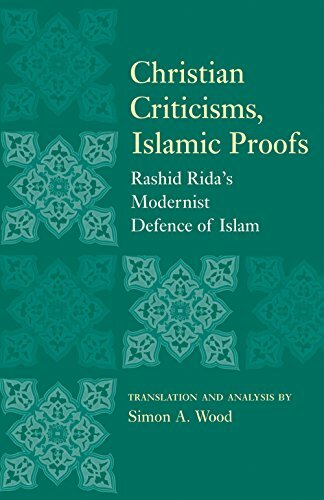 Contending that Rida's work cannot be separated from the period of colonial humiliation from which it originated, he challenges the view that Rida was a fundamentalist and argues that his response to Christian criticisms was, in fact, distinctly modernist.